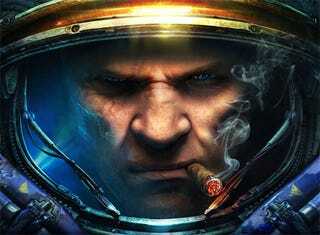 Hell, it's about time... to start playing some StarCraft II! Blizzard has announced that the closed beta test for StarCraft II: Wings of Liberty is officially a go, with invitations going out to "thousands of gamers." Yeah, check your e-mail! Scratch that. Check your Battle.net account! That's where you'll find your StarCraft II closed beta fate. If you didn't get in for the first look at Blizzard's next real-time strategy game and the revamped matchmaking service that goes along with it, you better head to Battle.net now, create an account and be on your best behavior. Beta keys only go out to good boys and girls. If you have one of those BlizzCon golden tickets that permit you access to the beta, check out the StarCraft II beta FAQ to see how to use it. While you wait for your invitation to go out, make sure your PC is up to snuff. Did you get in? Let us know! !